'40-Year-Old Virgin' actor sentenced to life: A California woman stabbed repeatedly by her then-boyfriend, a comedic Hollywood actor, on Friday described his courtroom antics as "very surreal and bizarre" - and, above all, insincere. Couple schemed to kill mom, take boy, sheriff says: A California county sheriff said Friday a couple executed what he called a "cold, calculating plan" to lure a mother to their home, strangle her and then run off with her baby. Tiger Woods' half-brother talks: The last time Earl Woods Jr. saw his half brother Tiger was four years ago, when the family buried their father. 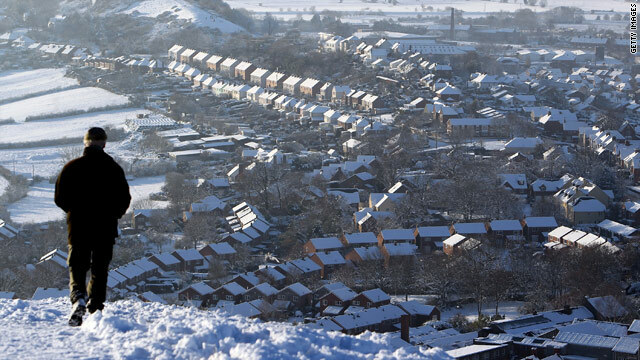 Frigid weather blasts Europe: Forecasters say the United Kingdom will remain in the grip of bitter winter weather through at least Monday. Even in the midst of incredible tension on the Korean peninsula, there have been a few lighter moments as I continue covering New Mexico Gov. 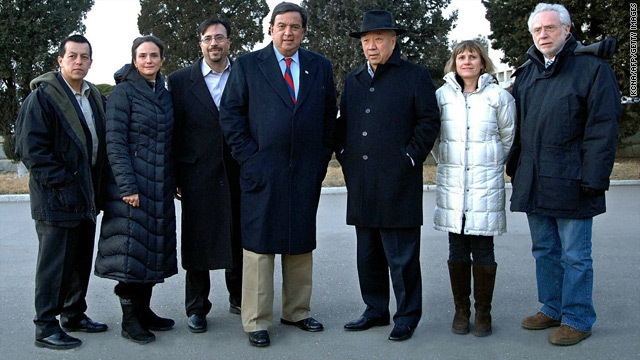 Bill Richardson’s extraordinary visit here. He’s trying to calm down the tensions and has been meeting with senior North Korean diplomats, generals and nuclear officials, including Kim Gye Gwan, the North Korean who invited Richardson here on this mission. At the start of their meeting, Governor Richardson introduced me to Kim Gye Gwan, and, through a translator, Kim joked that he was very familiar with my work, and that he understood that I was “as powerful as President Obama.” I started to laugh, as did everyone else in the room. He then said, “I understand only you and Obama have your own Situation Rooms” to which all of us laughed again. I was impressed that he was following CNN and I mentioned that I’d been watching CNN International at this hotel where we’re staying in Pyongyang. I thanked the nuclear negotiator for allowing CNN to come into Korea for Governor Richardson’s visit, and hoped they would let us come back. Despite the joking and some of the sight-seeing tours they’ve taken us on, I have to say it’s a very worrisome time in the North Korean peninsula. A lot of people here seem to be somewhat encouraged that the UN Security Council is scheduled to meet for an emergency session Sunday morning East Coast time. Maybe that will calm things down. Bill Richardson tells me that it might give North Korea and South Korea some sort of cover to ratchet down the very bellicose rhetoric. News of the U.S. Senate's vote to end "don't ask, don't tell" Saturday drew emotional reactions from both sides of the issue, with supporters of the repeal hailing it as a civil rights landmark and detractors calling it a threat to the armed services. The reaction was loudest from those who supported a repeal of the Pentagon policy, which had officially banned open gays and lesbians from serving in the military for 17 years. Many reserved their praise for Republicans who had crossed traditional party lines to vote for repeal. "With this vote, we have crossed one of the final hurdles standing in the way of ending the failed 'Don't Ask, Don't Tell' policy," said R. Clarke Cooper, Executive Director of the Log Cabin Republicans, one of several gay-rights organizations to lead the fight to defeat the policy. The group praised Sen. Susan Collins, R-Maine, for her leadership in bringing other Republicans across party lines. "Senator Collins, in particular, has long been the point of the spear in fighting for repeal among Republicans. She showed tremendous leadership in crossing the aisle to make this vote happen, continuing the fight when many thought hope was lost. Senators Brown, Kirk, Murkowski, Snowe and Voinovich also deserve our thanks for taking a principled stand for the integrity of all American service members. " Former army lieutenant and gay-rights activist Dan Choi, who was discharged from service after publicly coming out in 2009, said the vote sent a message to closeted gays and lesbians that they have the support of the government. 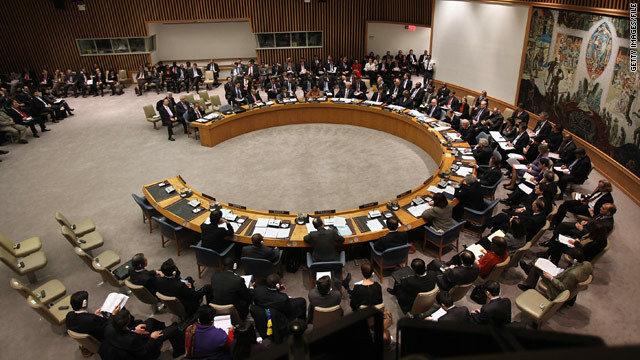 At Russia's urging, the United Nations Security Council will hold an emergency session concerning tensions on the Korean Peninsula at 11 a.m. Sunday (1600 GMT), the U.S. Mission to the United Nations confirms to CNN. Members of the U.S. Senate voted down an amendment Saturday that would have taken out language that recognizes a relationship between offensive and defensive weapons from the preamble of the new START treaty, the proposed nuclear arms treaty with Russia. 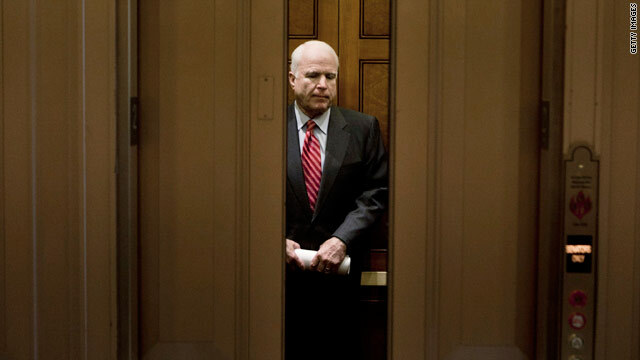 The vote was 59-37 against the amendment, which was put forward by Arizona Sen. John McCain. 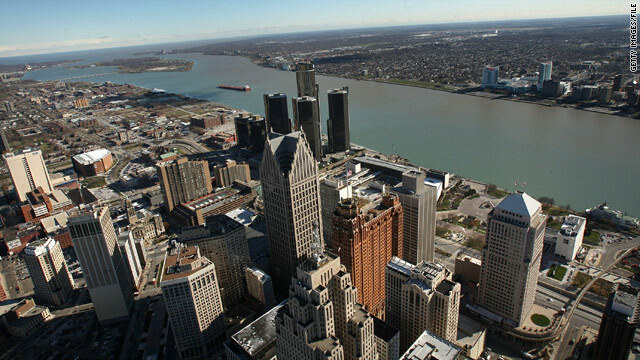 The London Chop House, where generations of Detroit's rich and powerful had met for meals and deals until it closed in 1991, will reopen soon, the Detroit Free Press reports. The Chop House will return, perhaps as early as January, to the same location on Congress Street, near City Hall, General Motors headquarters at the Renaissance Center, and Joe Louis Arena, according to the paper. "Hidden in the basement of a downtown office building, the Chop House has been high theater and a haven for the well-to-do, where waiters in dinner jackets know precisely how many ice cubes patrons like in their drinks and social climbers and power brokers clamor for table No. 1." Owner Nico Gatzaros told the Free Press the resurgent restaurant would be "just like it used to be," except the prices will be somewhat lower. "Everything's going to be back to the old school," he said. Filed under: Food • Michigan • U.S.
[Updated at 3:30 p.m. ET] Members of the U.S. Senate voted 65-31 on Saturday to repeal the military's "don't ask, don't tell" policy, which bans openly gay people from serving in the armed forces. With House of Representatives legislators having voted similarly Wednesday, the bill now goes to the desk of President Barack Obama, who is expected to sign it. The president will sign the new law next week, White House Press Secretary Robert Gibbs said on Twitter. [Posted at 11:51 a.m. ET] The U.S. Senate voted Saturday morning to end debate on whether to repeal the military's policy banning gay men and lesbians from military service. The 63-33 vote on the cloture motion sets the stage for a direct vote on ending the policy, known as "don't ask, don't tell." 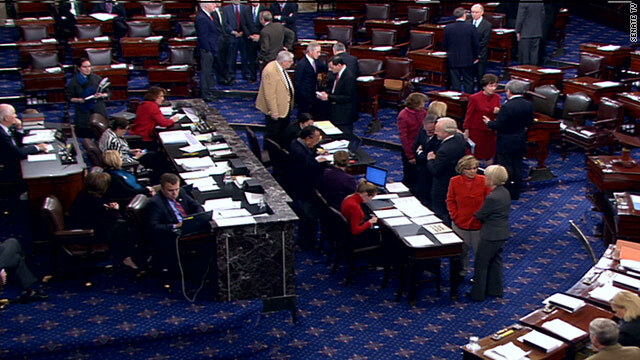 The Senate will hold a final vote on the repeal at 3 p.m. The U.S. Senate failed Saturday morning to halt debate and move to a vote on the DREAM Act, which would create a path to citizenship for some illegal immigrants who entered the country as children. Supporters could not rally the 60 votes needed to invoke cloture, which would conclude debate on the matter so it could proceed to a vote for or against passage. The vote on the cloture motion was 55-41. Ivory Coast President Laurent Gbagbo ordered all U.N. peacekeeping forces out of the country Saturday in a statement read on state television. Gbagbo is coming under increasing international pressure to give up power after a disputed presidential runoff on November 28. 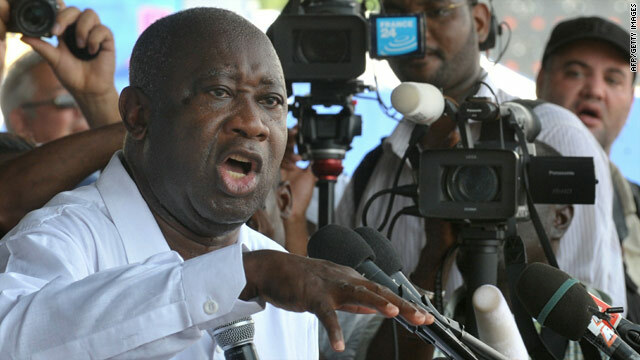 Ivory Coast's Independent Electoral Commission said Alassan Ouattara won the runoff, but the country's Constitutional Council invalidated those results and declared Gbagbo the winner. The United Nations, the Economic Community of West African States, the European Union and the African Union said Ouattara won. Scheduled South Korean military drills likely will not be held over the weekend due to an adverse weather forecast, the country's Joint Chiefs of Staff said. 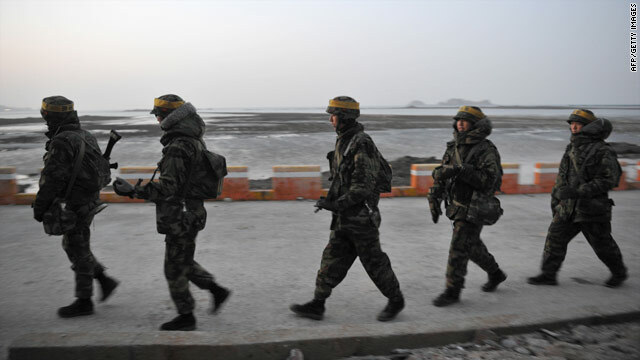 The drills will only be held if the weather improves in the areas surrounding Yeonpyeong Island, the military said. The military had said Thursday that the exercises would take place in the seas southwest of the island between December 18 and 21. A sprinkler system in a California mall was turned off for more than an hour during a fire that devastated a California mall, a new report states. 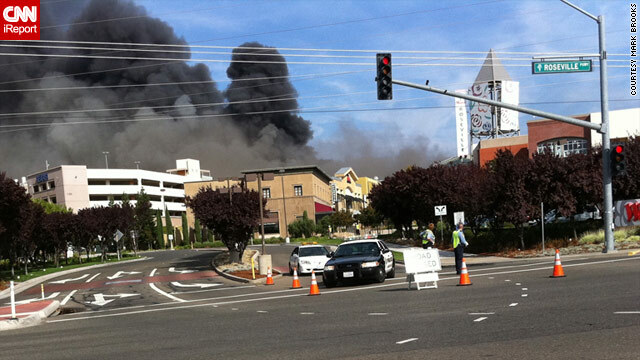 The huge blaze occurred at the Westfield Galleria in Roseville, California, on October 21. Roseville police and fire officials released a report Friday about the incident, which began when a man walked into a video game store and announced he had a weapon and was carrying a backpack that smelled of kerosene. The man was later identified as 23-year-old Alexander Piggee. Roseville police and fire departments rushed to the scene, but both stalled in entering the mall because of the possibility that the suspect may have had a bomb, the report said. The report also said a maintenance worker at the mall shut off the sprinkler system in the section of the mall where the fire started for 71 minutes.